Cost: $5.00 per person per session. When can I start? – Jump in anytime – this is an ongoing ministry. The Gift of Prophecy course is designed to equip you with the tools to hear the Father’s heart and minister His Word with prophetic power: You will experience revelatory teachings with group participation. 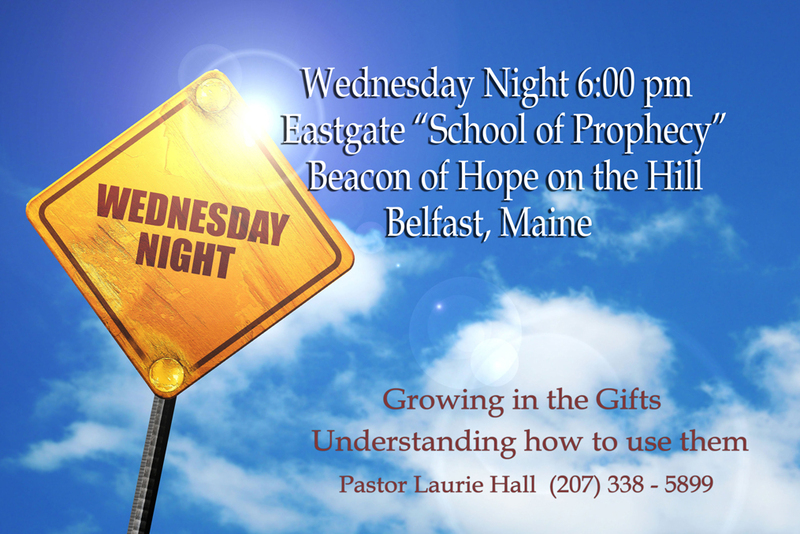 No matter your experience, this “Gift of Prophecy” course will take you to another level. We cover areas such as the basics of prophecy, prophetic essentials, the power of prophecy, how God speaks, Interpreting revelation, administering prophecy, prophetic protocol and wisdom and warnings. How this gift is used in the ministry of healing, the Watchmen’s ministry as well as everyday life. What does the Bible say about the gift of prophecy? The Apostle Paul in his letter to the Corinthians gives a simple definition of prophecy telling us “But everyone who prophesies speaks to men for their strengthening, encouragement and comfort” (1 Corinthians 14:3). In simple terms, prophecy is “hearing” from God and speaking what you hear in order to build up, encourage and comfort someone.